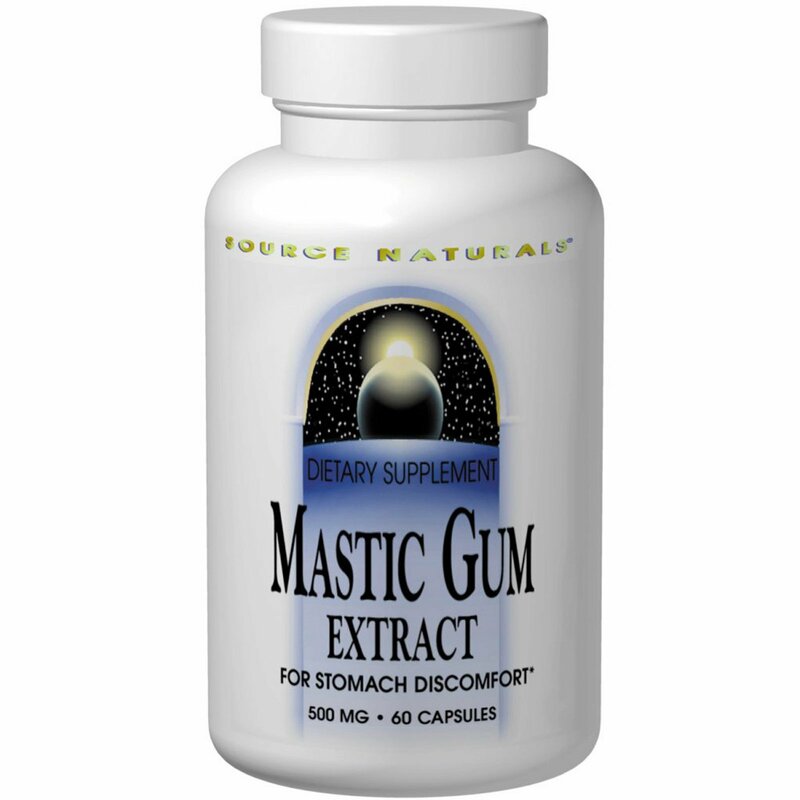 Mastic gum, a natural resin from the Pistacia lentiscus tree of Greece, has been used traditionally by Mediterranean cultures to support gastrointestinal health. Source Naturals Mastic Gum Extract is standardized to 35% masticonic acids, which are the active compounds shown to support the lining of the stomach and the duodenum, and the body's own response to imbalances. Gelatin (capsule), dibasic calcium phosphate, maltodextrin, colloidal silicon dioxide, and magnesium stearate.